Preferred Chrysler Dodge Jeep Ram of Muskegon is going to the extreme prior to the Muskegon Lumberjacks’s hockey game Saturday, October 27. Preferred is sponsoring the Rad Dads’ Tailgate event prior to the Lumberjacks home game at LC Walker Arena in downtown Muskegon, Michigan. As part of the festivities, A.G.A. 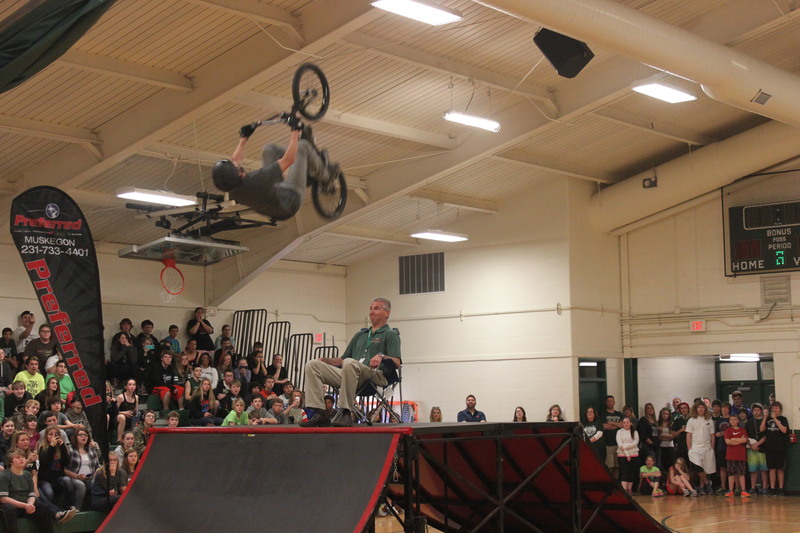 Nation’s BMX team will perform two shows with the first at 5:15 p.m. then a second show at 6:00 p.m. The Muskegon Lumberjacks game vs. Team USA starts at 7:15 p.m. For ticket information, please visit www.muskegonlumberjacks.com. One lucky fan will be selected at the Rad Dads’ Tailgate event for the chance to win a Jeep during the 2nd and 3rd periods of the game that evening. Simply register at /contact/ & your name could be the one called at the Rad Dads’ Tailgate for the chance to win a Jeep!